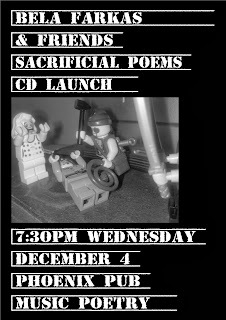 Bela Farkas launches his poetry collection, Sacrificial Poems, on Wednesday 4 December at the Phoenix Pub. He recorded the album with Aaron Kirby at Playing Field Studio during The Tragic Troubadours' residency in September and October 2013. This is the same time the BAD!SLAM!NO!BISCUIT! Podcast project was started. The project included the poem Darwin by Bela. 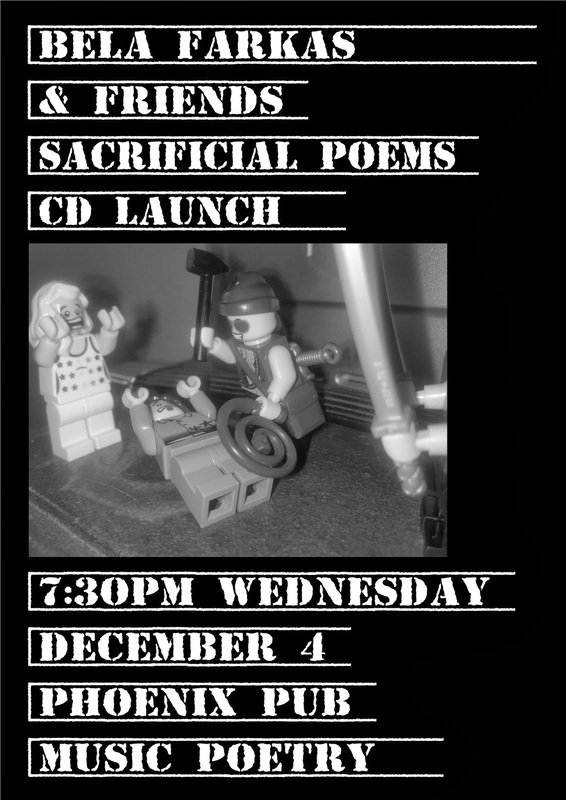 During the residency I also recorded a bunch of poems with Aaron, and started preparing the launch of my book at the Phoenix Pub. The book, That place of infested roads, was launched at the Phoenix on 23 October. You can listen to a recording of the night on Bandcamp. For the launch Bela performed O brother: a one act play. He'd requested that one from the book and did a great job performing the piece. At Bela’s launch twelve Canberra performers will be interpreting poems from his CD. I am excited to be one of those taking part. Bela's poems are interesting in their combination of social critique, comedy, seriousness and character. Hayley Shone and Kooky Fandango will be providing music. 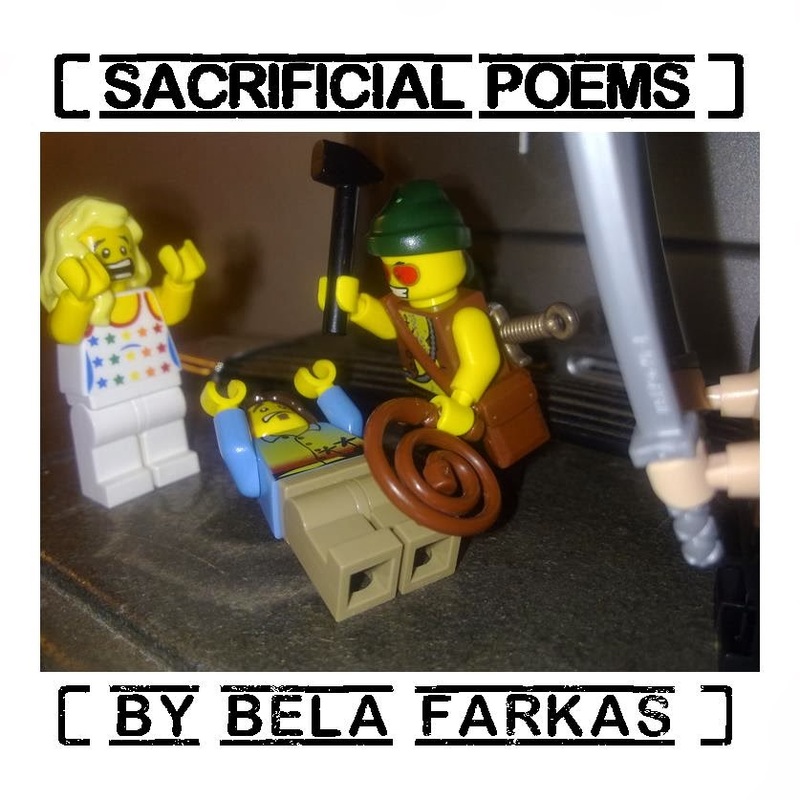 You should come along, Bela Farkas’ poetry is truly unique.